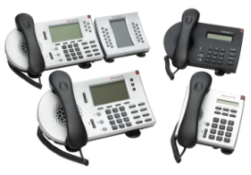 New Age Electronics is a Shoretel® Intelligent Phone Systems Authorized Partner. ShoreTel’s enterprise IP phone system is ranked #1 by customers. It’s ease of use and straightforward controls make it a logical choice for IP based phone systems. Voicemail integration with Microsoft® Outlook – voicemails are sent directly to your e-mail’s inbox. Direct-dial from your Microsoft® Outlook contacts list. Portable extensions – move your extension to any phone on the network. Softphone – if no telephone is available, you can answer calls directly on your computer.